According to Heise Online, the Department of Homeland and Security wants the "master key" for DNS. Naked Jen visits eBay, and of course, she's naked! Need I say it's not work-safe? CNN report on Kathy Sierra's death threats. Wes Felter checks in. He was there at the beginning, and I share his feelings about how code formed blogging, when it should have been the other way around. Oh well. A special thanks from Six Apart. Companies should always strive for the diplomatic voice, to be above the fray whenever possible. If you're in the airplane business, run an op-ed ad on the anniversary of the first flight at Kitty Hawk. And if you're in the weblog tool business, where's the harm in acknowledging the various milestones in the history of blogging. So thanks to the folks at Six Apart for the hat-tip. When Cameron Barrett, Jorn Barger and Jason Kottke celebrate their 10th, we'll light some fireworks here too. Blogging is inclusive, that's the point. Everyone gets to share their ideas. We're all folks, so come as you are. And thanks for the thanks, and many happy returns! PS: You guys have stepped on a few toes too, btw, fyi, nabd, ianal, etc. I recently started using Google Earth, and one of the first places I looked at was New Orleans, and I couldn't make sense out of what I was seeing -- it looked like the city had completely recovered from Katrina. I knew that it hadn't. Today I spotted a post on the Google weblog that explained they had replaced New Orleans imagery with pictures taken before Katrina, but I still can't figure out why they did this. Is it fair to assume that this is the only part of Google Earth that has been doctored? What about other parts of Google, and what is their disclaimer policy when the data they are presenting is not the accurate data? Seems like a basic integrity issue. "We recognize the increasingly important role that imagery is coming to play in the public discourse," is not enough of an explanation. PS: I've received emails from people who say they've fixed the database, but at 1:50PM Pacific, I just spent 20 minutes zooming around New Orleans in Google Earth, and it's definitely the pre-Katrina city. Listening to this week's On The Media, they had a segment on cartoonists, and why it's so bad that we are losing so many of them as the newspaper industry shrinks. I like cartoons very much, but I was struck by something else in the piece. They were talking about cartoonists testing the limits of where they could go, and listed a bunch of topics that were taboo, and one of them was the publishers of newspapers. Then I remembered, a few years ago I was on a campaign to expose this blind spot, and got absolutely nowhere. 6/6/02: "If everyone says a journalist is really nice, I take that as a clear warning that this supposed journalist is actually playing footsy and selling out his readers. As readers, we have gotten very complacent about this." My point then is that the media industry is enormously important to our economy and political system, but we have almost no visibility into how the money flows, and who makes the decisions. Only recently, as the industry has been firing reporters, have some of the editorial people had the guts to look at their bosses. And aside from interviewing reporters the rest of us have no way in there (and we know how reporters feel about bloggers). This is just a reminder, there are a lot of places we don't look, but if we did, we'd see our strings being pulled all the time, in so many ways. Ever wonder who decides that we should get a steady diet of Anna Nicole Smith while World War III is breaking out in the Middle East? I do. To Steven Levy: Brevity has its place. I've been running Parallels and Windows XP on my 17-inch MacBook Pro for a few days, and I still like it! It's not quite as bizarre for me as it is for others because I administer my servers, which mostly run Windows, using Microsoft's Remote Desktop Connection, which puts Windows inside a window on my Mac. But this is stranger, because it's using my local machine to simulate a real machine. Okay, I know other people have run emulators before, but this is my first time, so humor me. I like it because Windows has won so many wars with me that I like the idea that finally I get to win one. This is the ultimate revenge for having made a fool of me so many times, now I've got it fooled into thinking it's got a whole machine, when in fact it's just an app! Hehe. Did you see Men In Black and how there were galaxies everywhere inside everything, even inside a piece of jewelry? That's what it feels like. There's a whole little universe, and inside there they don't know they're just living in a dog collar! Oh Microsoft, I hope you'll understand, please don't take it personal. I had to run Windows somewhere new because both of my Windows laptops had died and I needed to test new builds of the Windows version of the OPML Editor because the new version of Internet Explorer broke it. We did something fancy, we embedded the browser control in the MDI window, thinking we could do something cool with it, but we never did, and now it's just a liability. I'm at the point where I think I've managed to disable the feature enough to stop the crashing, but according to Amyloo, it leaves the app looking bad, but (key point) not on my machine. So I swallowed hard and installed IE7 in the virtual machine, in the process I had to validate and then activate my machine (the one that doesn't actually exist, heh) but it turns out you have to do it the other way round (this is Windows after all) so I happily did that, and IE7 is now theoretically installed on the machine. I'll let you know how it goes. PS: This is what happened when I tried to launch IE7. I guess it's (virtual) Big Red Switch time. Luckily, it reboots much faster than a real PC does. PPS: I had to reboot several times to get the machine to respond. Oy. Maybe installing IE7 on a virtual machine wasn't such a hot idea. Anyway, I did finally get it to reboot successfully, and was able to reproduce the condition that Amyloo reported. EMI press release. "EMI Music is launching DRM-free superior quality downloads across its entire digital repertoire and that Apple's iTunes Store will be the first online music store to sell EMI's new downloads." PDF presentation. I'm trying to tune into the audio webcast, without luck so far. Michael Gartenberg: "This is a great PR win for Apple and Steve Jobs." The Apple & EMI press conference in London starts soon. Amyloo saw the CNN segment on last week's blogosphere uprising, she says it could have been worse. I'm tuned in to CNN now hoping to see a re-run, but at 5AM I'm looking for video of the London press conference. Any ideas? There probably is some meaningful connection between a blog and Twitter, still trying to figure it out. Pointing to Amyloo on Twitter because she hasn't got a post about this on her blog, yet. I suspect she will have one eventually. Should her Twitter page have something about her blog, or vice versa? I listened to the Evan Williams interview on the Jason Calacanis podcast, Williams is the guy behind Twitter, founder of Blogger, software philosopher. The interview doesn't go into much depth, worth listening to if you're following Twitter, as I am. Thanks to everyone who sent or posted good wishes for the second decade of Scripting News. There's a lot of goodwill out there, and that's much appreciated! This address may change when the spammers catch up with me! 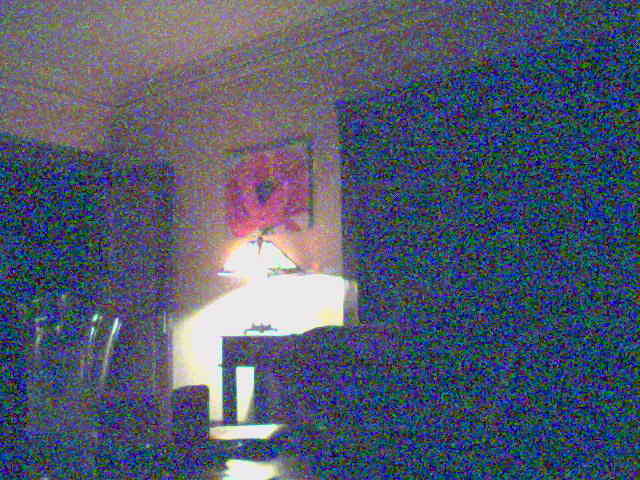 Last update: Monday, April 02, 2007 at 9:59 PM Pacific.